Competition leaders Puaikura FC are pleased former Auckland City Youth forward Maro Bonsu-Maro has returned to his roots after finding the net in both of their victories at the 2017 OFC Champions League Qualifier this week. Bonsu-Maro secured their 2-1 win against Samoa’s Lupe Ole Soaga on Tuesday with his second goal of the competition, booking their tickets to New Caledonia for the group stage of the 2017 OFC Champions League. “The keeper fumbled it and Pekay (Edwards) picked it up, gave me a good ball and I just smacked it in. I looked down, closed my eyes and bang, back of the net,” he said. 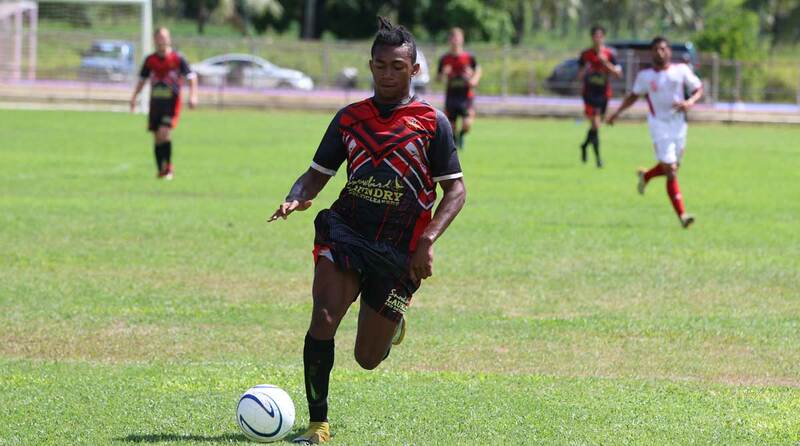 Bonsu-Maro’s last featured on the international stage with the Cook Islands squad which competed in the 2013 OFC U-17 Championship in Vanuatu. “We went to Vanuatu and we came last,” he laughed. “It was difficult because our first game was against New Zealand and they beat us 9-0. Our goal was not to get double digits against them so I guess we at least achieved that. The sense of pride Bonsu-Maro felt back in 2013 has seeped back in since returning to the Cook Islands and slipping on the Puaikura jersey. “It’s quite a humbling experience coming back to the team,” he said. “When I played for the Cooks U-17, I was subbed off after not playing very well against Samoa and I remember being really upset about it. “That’s when it hit me, the whole pride part of it, how much I actually really care about playing for my country. With their final match against American Samoa’s Utulei Youth FC less than 24 hours away, Maro-Bonsu is already thinking about the high likelihood that their first OFC Champions League encounter will be against 2016 finalists Team Wellington. “Team Wellington is a good team. The coach for that team is actually my former coach at Central United, Jose Figueira. It will be a tough game,” he said. Puaikura will face Utulei Youth in the final day of action at the OFC Champions League Qualifier at Loto-Tonga Soka Centre in Nuku’alofa, Tonga at 12pm (local time) on 3 February. If Puaikura win or draw tomorrow’s match, they will face Team Wellington in Kone, New Caledonia on 11 March as well as Fiji’s Ba FC and New Caledonia’s Hienghene Sport in Group B of the OFC Champions League.